Until some years ago, the existence of special children with differential learning needs went unnoticed or disregarded. While physical and developmental disorders were recognized medically and tended to in hospitals or care centres, learning difficulties were looked upon as temporary problems that faded with time. Then, as a result of the burgeoning interest in child development and the detection of more and more of these different children, people began to sit up and take notice. Many of these children were precocious and intelligent, but had difficulty with reading, writing, comprehension and schoolwork in general. In the West, such children were diagnosed with dyslexia, ADD/ADHD and were either given remedial sessions or treated with drugs. 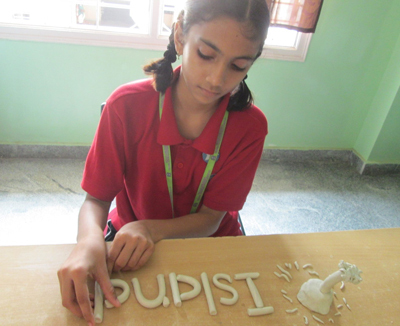 In India, most mainstream schools chose not to retain them and send them off to special schools. They are highly sensitive and/or intuitive. They learn through experience and practical methods. They often have difficulty with authority and are misunderstood by adults. They are easily bored and frustrated with systems that don’t require creative thought (rote learning, for example). They may be anti-social and are seen as nonconformists. They often find ‘system busters’ i.e. they see better ways of doing things than others. They are visual learners and think faster than most people. In short, their view of the world is vastly different from the norm! Thus, the key to helping these children realize their full potential is to educate them in a manner that is both engaging and effective. 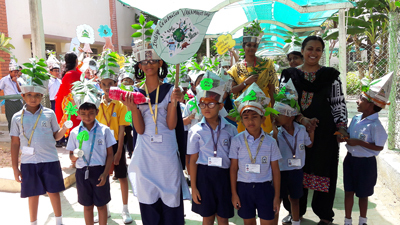 Lalaji Memorial Omega International School has in place a Special Education Needs policy, to give equal access of the curriculum, regardless of individual abilities and needs. At the school, the process of identifying and dealing with special children is well laid out and begins with identifying the nature of the problem. The area to address could be related to learning difficulties or related to ADHD, ADD or Dyslexia. At the school we assist special needs children using the methodology from Davis Dyslexia Association International, founded in 1982 by Ron Davis, author of The Gift of Dyslexia and The Gift of Learning. 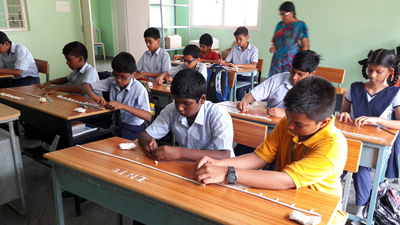 ?We are the ONLY school in Asia to have two trained Davis facilitators, out of a total of only six in India.The school has been recognized by the Davis Dyslexia Association Inc., of Burlingame, California USA. The school also has 115 Primary Class Teachers trained in Davis Learning Strategies. Davis Learning Strategies are an effective and efficient way to provide the student with necessary reading skills, and to develop a beginning reader into an accomplished reader, by the end of the third grade. Davis Learning Strategies helps children to cross the barrier of writing and reading difficulty. At Omega International School, we have the ability to handle children with ADD/ADHD and Dyslexia manifested as Dyscalculia, Dysgraphia, Dyspraxia and Hyperactivity. As yet, we do not have the capability to handle autistic children, other than to give them extra care.